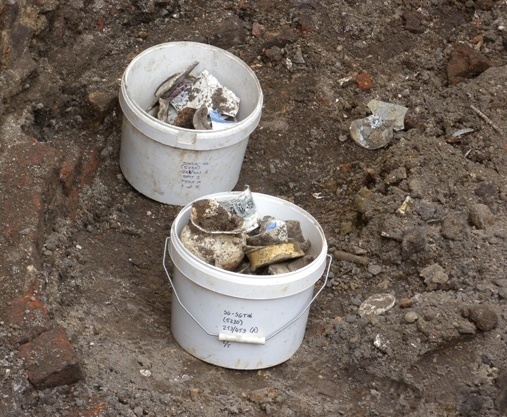 Museum of London Archaeology is currently accepting applications for Field Archaeologists to be placed onto their bank of approved workers. To be added to the shortlisted pool, applicants will be required to successfully complete a telephone interview and provide at least two satisfactory references. If you are successful in being added to the bank of workers you may be contacted as new work becomes available. If you are offered work you will be required to complete a basic criminal records check and a Health Assessment Questionnaire for safety critical roles. If you wish to be considered for the bank of workers, please complete an application form which can be found online through the current vacancies page of the MoL website. The job description and information for applicants can also be found on this page. When completing your application form, please list your commercial archaeology experience first. 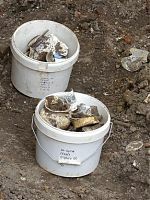 Museum of London Archaeology has a limited number of vacancies for Site Technicians to work on selected sites over the summer period. The position of Site Technician might ideally suit students of Archaeology or members of local societies who wish to extend their knowledge of commercial archaeology by taking part in excavations. Please note these roles are for commercial sites – these projects are not training digs. If you wish to be considered for the position of Site Technician, please complete an application form which can be found online through the current vacancies page of the MoL website. The job description and information for applicants can also be found on this page. Shortlisted applicants will be required to complete a telephone interview. Successful applicants will then be required to provide at least one satisfactory reference, complete a basic criminal records check and a Health Assessment Questionnaire for safety critical roles.